A device that continuously monitors truck strap tension to eliminate load shifting while the truck is in motion. Transporting goods by road in South Africa has steadily increased over the years. This is mainly due to increasing needs of the South Africa’s supply chain and a number of challenges facing the national rail operation such as low service levels, lack of flexibility and capital investments. However, transporting goods by road has a negative impact when it comes to road accidents caused by improper securing of goods. 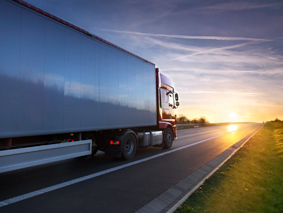 Recently, researchers at Stellenbosch University have developed a technology that continuously monitors the strap tension with the truck strap tension device to eliminate load shifting while the truck is in motion. This technology is based on a device that monitors the tension in a truck strap and warns the driver when the load is slipping on the truck trail. The device also tensions the truck strap to the correct tension and automatically corrects the tension in the truck strap when it changes to stop the load from further slipping. This innovation will reduce truck accidents that results from load slipping. The device will also eliminate the chance of goods being damaged due to over tensioning. This device automatically corrects the tension by increasing or decreasing tension in truck strap when load is slipping or being over tensioned. The motor sets strap tension to correct value every time. The device does not give false alarm when the truck hits a bump. Tension in strap can be changed by a push of button. In use, the truck driver sets the tension. The device automatically tensions the truck strap to the tension set by the driver and keeps the strap set at that tension during transport. The device continuously monitors the tension in the strap and if the tension changes outside threshold limit indicating load shift or over tensioned, an alarm is triggered to warn the driver. When this happens the motor immediately and automatically turns on and returns the tension back to the tension set by the driver. The device is programmed to check when the truck hits the bump. The control system recognises these bumps and does not give a false alarm. Safety is also implemented into the control system, such that, the strap cannot be over loosened to decrease the tension in the truck strap causing the load to completely fall off the truck.